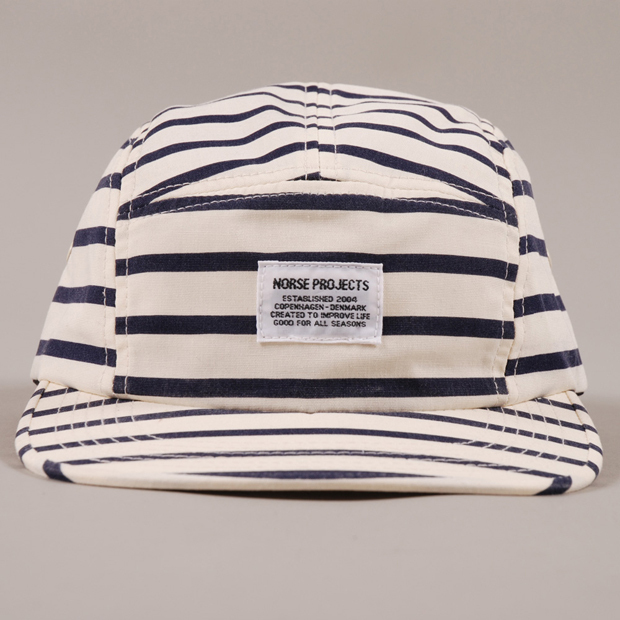 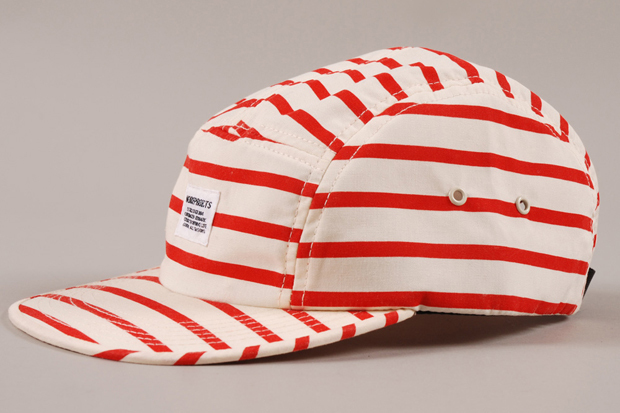 Norse Projects get nautical with these two striped 5 panels from their recent 2012 Holiday Pack. 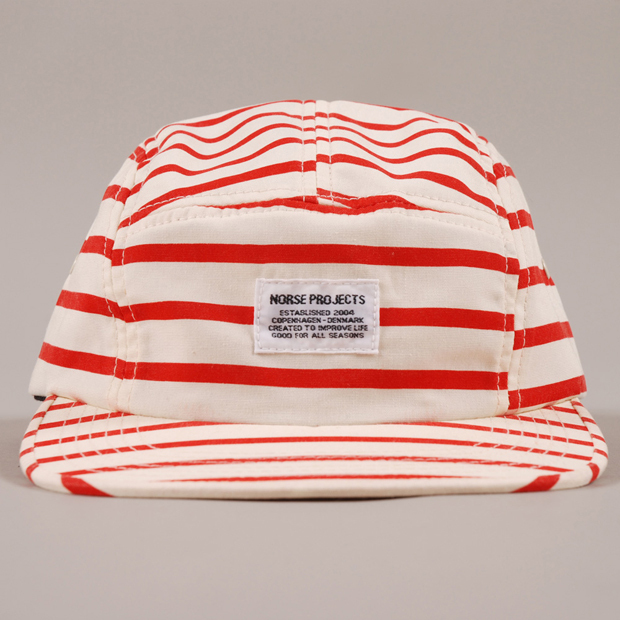 The Norse Projects 5 panel is a very popular choice, and for good reason, it’s one of the best fitting examples on the market with consistent quality. 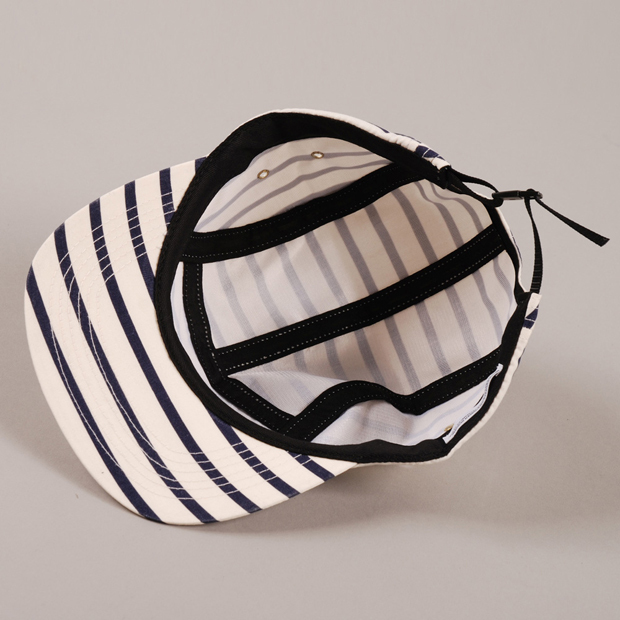 These nautical inspired renditions are made from the usual 100% cotton that usually features on a large chunk of the Norse Summer headwear, a little thin for Winter perhaps, but a good forward investment for Spring. 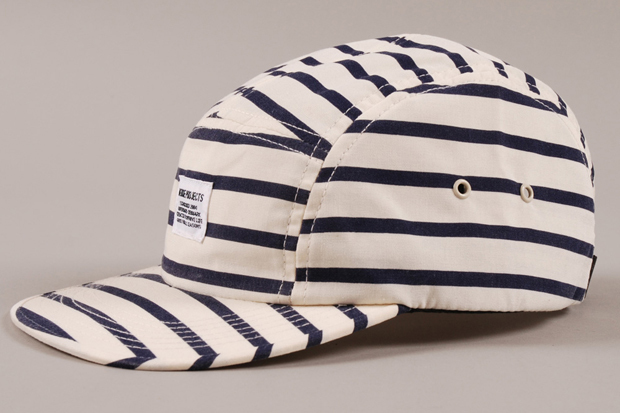 Plain and simple, these caps have a very Saint James vibe to them, but then again anything striped like this does. 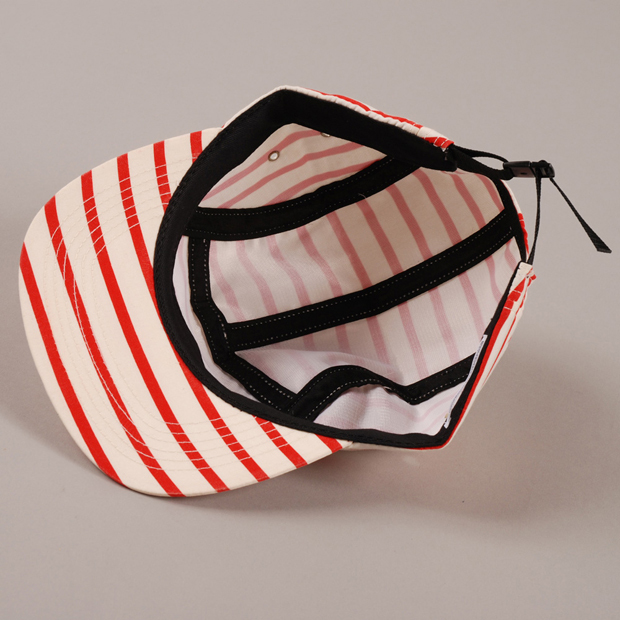 Tonal ventilation holes on the side, the usual black nylon strap and white Norse branding on the front finish these off nicely. 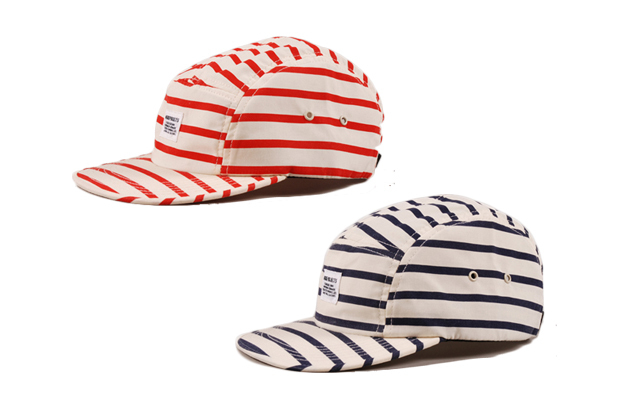 Both caps are available in limited numbers from Goodhood for £49 each.